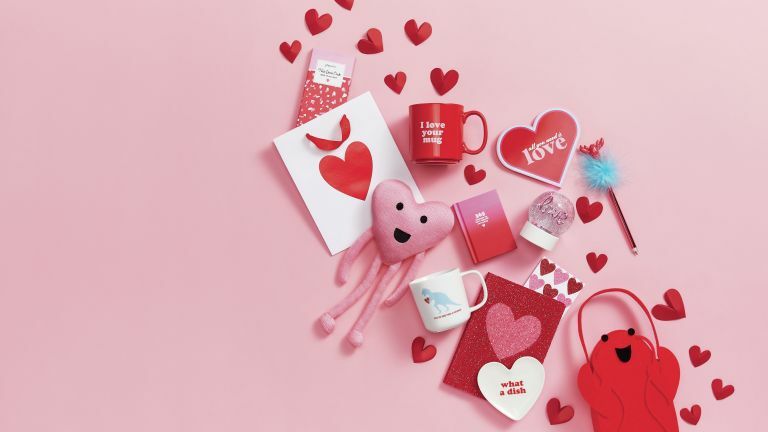 The general rule for Valentine's Day gift ideas seems to be that if it comes in pink or red then you can blag it’s a romantic present. Luckily the Ultimate Ears Wonderboom comes in both Cashmere Pink and Fireball Red, so you can whisper sweet nothings into each other’s ears while listening to this compact speaker’s 86 decibels of clear trebles and booming bass. Lempi conveniently means love in Old Finnish and conveniently, this Skandinavisk candle smells divine – a classically romantic blend of rose and strawberries, garden peony and oakmoss. It comes in two sizes, so you can pick one to suit your budget and depending how in Lempi you are feeling. If you aren’t afraid of going down the slightly cheesy route, then as far as matching couple's mugs go, we actually think these Sass and Belle offerings are super cute. A practical Valentine’s Day gift? Yes, they do actually exist. This Dopper water bottle is the perfect gift for your eco-warrior significant other. Each Dopper bottle saves around 40 plastic disposable bottles a year, plus, five per cent of the brand's profits go to the Dopper Foundation, which helps provide access to safe drinking water worldwide. Naww, isn’t this cute? What could be a nicer Valentine's Day gift idea than a daily reminder of how lovely you look? Plus this makeup pouch from Alphabet Bags, comes in a gift box that can be personalised, if you want to make it extra special. Not that you are hinting to be taken away or anything, but this Lonely Planet Ultimate Travelist is packed full of amazing sights and attractions you need to get on your bucket list. The insightful write-ups and inspiring photography are sure to get you motivated to start planning your next trip together pronto. If you’ve got plenty of time before the big day, why not make a personalised scrapbook of all those lovely memories you have together? Print off some photos, dig out the tickets stubs from the first film you went to see together, the first note they wrote you, the lid of the first beer you shared (don’t pretend you don’t still have all that stuff). 18. Hey google, what's a good Valentine's Day gift? We know. We are hilarious. But the Google Home Mini would be an awesome gift for your Valentine, Galentine, or just you (self love and all that). This tiny thing can keep you updated on the news, the weather, your schedule, all the fun stuff. You can also play music. Snuggling up with a home lover on Feb 14th? Maybe your other half has big plans for a home transformation in 2019? Check out our subscription offers on Real Homes and Period Living magazines – you'll be in favour for the next 12 months, not just this one.